Untitled, (Housing development), Near Draper, Utah, 2017. Chromogenic print. Untitled, (Gravel pit), Near Draper, Utah, 2017. Chromogenic print. 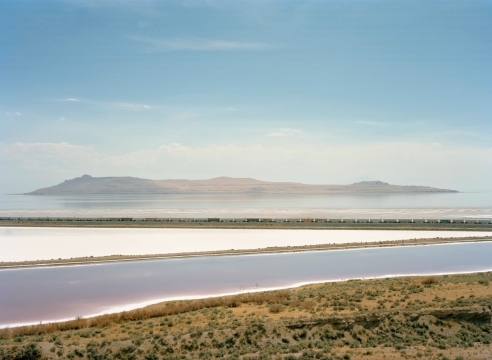 Untitled, (Train crossing Great Salt Lake), Utah, 2016. Chromogenic print. Untitled, (Coal conveyor belt), Near Kayenta, Apache-Navajo Counties, Arizona, 2017. Chromogenic print. Untitled (Pump jack), Kenilworth, Utah, 2018. Chromogenic print. Untitled, (Castle gate), Carbon County, Utah, 2018. Chromogenic print. Untitled, (Tankers), Salt Lake City, 2018. Chromogenic print.